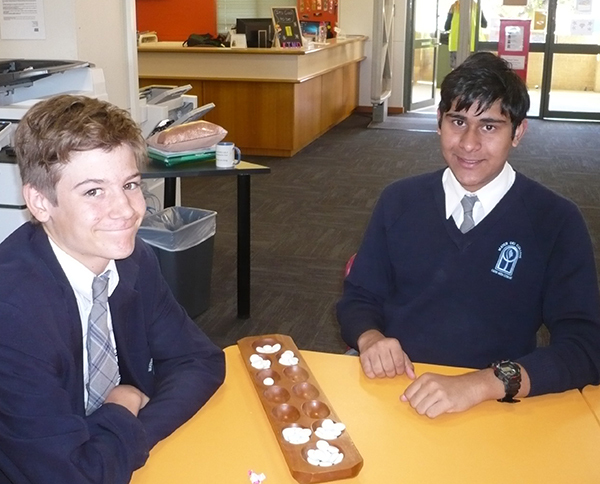 Last week we celebrated Sorry Day at our College assembly. 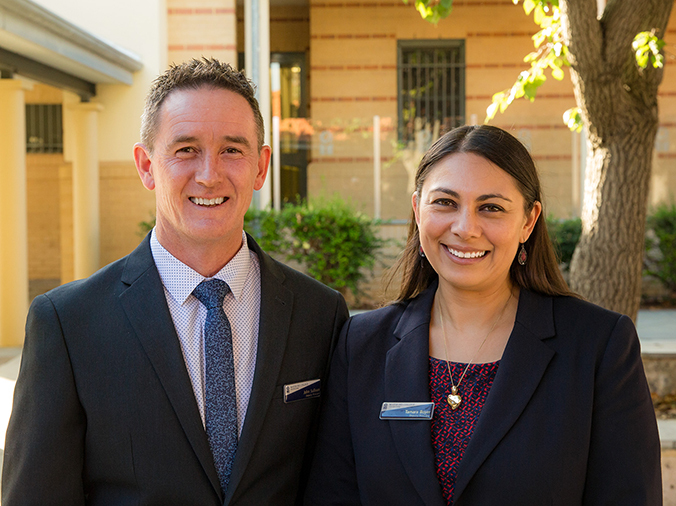 It was perfect timing as we had an opportunity to introduce a new staff member to our community, Mr Chris Gosper to the role as Aboriginal Liaison Officer. Mr Gosper will be working with our families in a part time capacity. This week we were so pleased to welcome the grade four students from St John Paul II Catholic primary school in Banksia Grove to engage in our science and drama program. It was great to welcome grade four teacher and alumni from Mater Dei, Miss Jessica Schofield with her students. A wonderful day was had by all. Congratulations to 2017 alumni Elaina O'Connor, as she has been awarded the role of "Elle Woods" in the upcoming Musical Production of "Legally Blonde" at the Regal Theatre, Perth in August. An outstanding achievement for Elaina. Also from the 2017 class, Charlotte Campbell has been chosen as a finalist in the Mandorla Art prize. Her work “new beginnings in a Modern Era”, along with the other finalists will be exhibited at Turner Galleries from June 1 to 30. 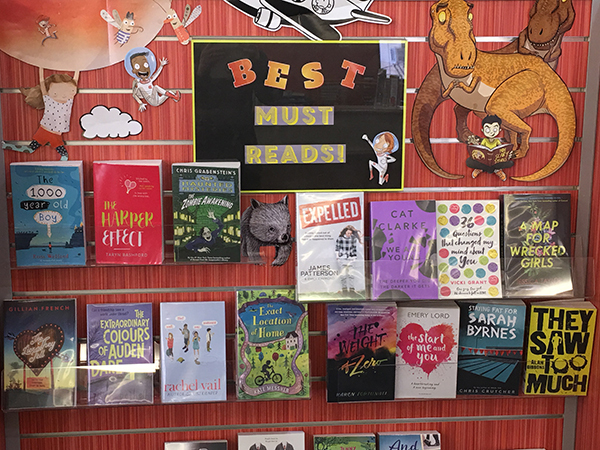 It is hard to believe we are half way through Term 2. 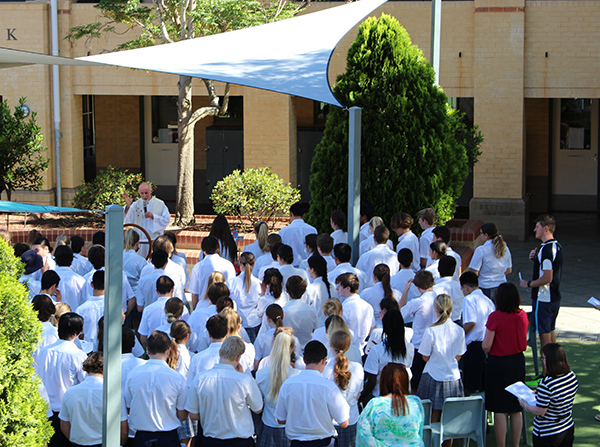 Please keep our senior students in your prayers as the Year 11 and 12 students commenced their semester one examinations. 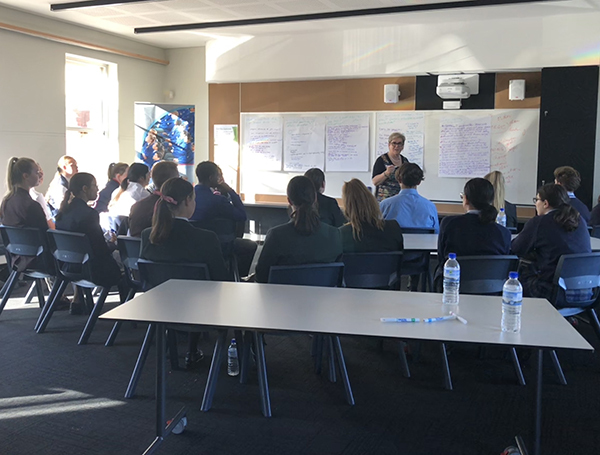 The Year 10 students are currently preparing for their examinations and course selections for Year 11 2019. It is a timely reminder that students are expected to complete homework and study each night so they challenge themselves and strive to reach personal excellence. Please ensure your child is putting the time aside each night to complete homework, in addition to studying for upcoming test and assessments. A news article from leading child psychologist Dr Michael Carr-Gregg on the topic of smartphones at schools took my interest this past week. Whilst the article was focussed on primary schools, there was an important reference to secondary schools and the use of mobile phones at school. The article referenced some secondary schools which have heavily restricted the use of mobile phones during school hours. Whilst Mater Dei was not mentioned, we are indeed one such school. Students are expected to refrain from using mobile phones from 8am until the end of the school day. They are encouraged to interact with each other socially on a personal level rather through their devices. 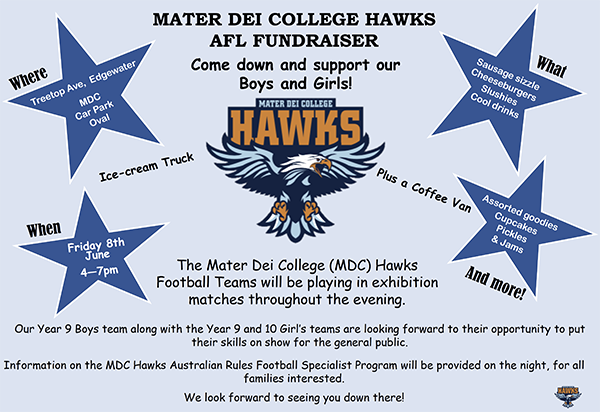 I encourage all students to limit their time spent on social media and to forge healthy relationships with peers through co-curricular activities of which there are many on offer at Mater Dei. "You consider Zacheus happy because Our Lord vouchsafed to enter his house and eat with him; you deem St. John happy because he rested on the breast of our Saviour at the Last Supper; and, above all, you regard St. Joseph and the Blessed Virgin Mary so very happy because they nourished and supported Our Dear Lord. But are you not as happy as they? Are you not even happier? You do not hold Our Lord in your arms as Simeon did, but you receive Him into your heart in Holy Communion; you do not rest on the bosom of St. John, but the Saviour rests in your heart after Holy Communion; you do not nurse and support Our Lord like St. Joseph and the Blessed Virgin, but you have a still greater happiness, for the Saviour Himself nourishes you and gives Himself to you as your food. O Love! O Love! O who can understand the love of God for us!" This was the title of an article that caught my attention on Linkedin last week by Liana Simpson. Simpson is an experienced educator and mother. Her article highlights her perceptions on how children have changed over the years and as parent it struck a chord with me, to the point I thought it may be worth sharing some of the more thought-provoking observations. I don’t for a minute pretend to be any sort of expert when it comes to parenting and this piece is in no way a criticism of anyone. Rather the article highlighted for me, that as a global society the outcomes of our collective best intentions may actually be doing more harm than good to our children, who will very soon be adults in this world, quite possibly without the skills they will need to cope. Children of today have limited resilience and have adopted a ‘victim’ mentality. They can not cope with disappointment and more and more demonstrate a propensity to want to blame others for their fortunes. Bullying, whilst never acceptable, is a term thrown around all to freely, at times for a single act of meanness, robbing our children of conflict resolution skills and the ability to effectively communicate with peers. Scoring has been omitted from sport and other games so no one feels bad and has to experience being a loser and again we rob of children of the valuable life skills of losing humbly and learning from our mistakes in striving for improvement. The article also, and rightly so, “raises the alarm” at the substantial increase in anxiety in children. As Simpson states, “My intention is not to belittle ‘anxiety’ or mental health issues in young kids but to raise awareness and raise the alarm! Why are so many children getting ‘worry’ sickness and what can we do to help reassure and support them better?” She further contends that students today are experiencing unprecedented levels of anxiety and we are incorrect in our assumptions that social media is the root of all evil. This is not a long article but one well worth running our eyes over. 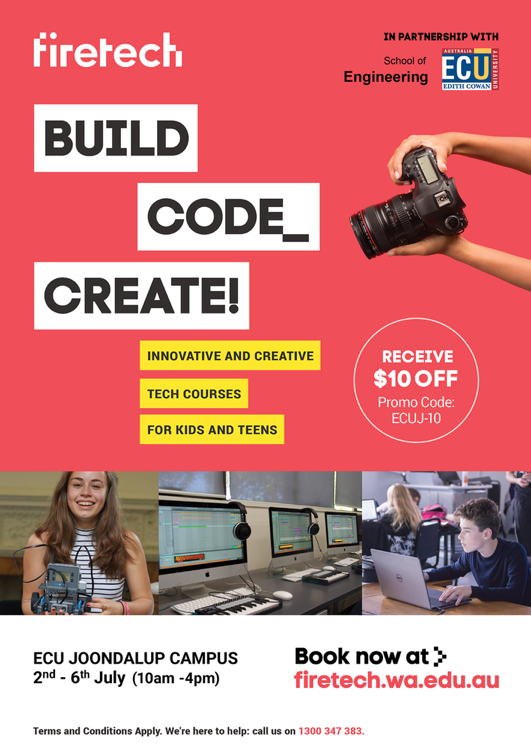 If you wish to do so, there is a copy in SEQTA Engage/Documents/Wellbeing and is also available through the following link. What Are We Doing To Our Kids? As per the schedule below, Year 10 Semester One Examinations will be held throughout Week 7 of this term. All examinations will commence at 9.00am with 5-minutes reading time and 90-minutes working time. Students should ensure they arrive at the venue at least 20 minutes prior to the commencement of each examination. Students should also familiarise themselves with the rules for candidates. 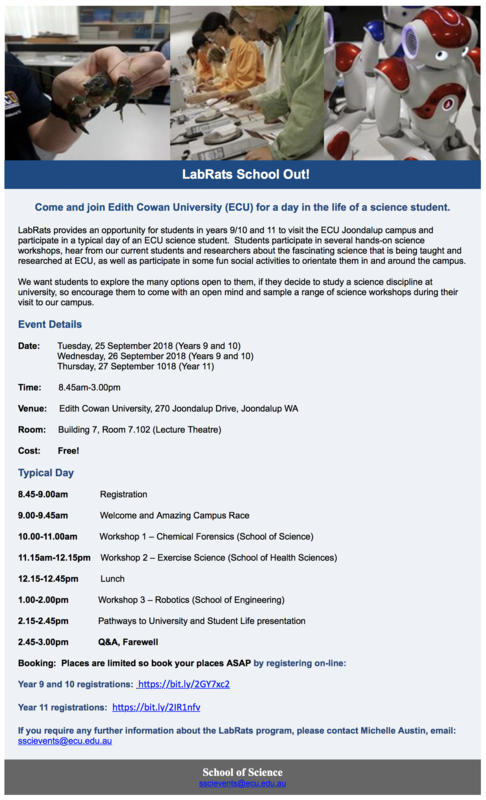 These have been emailed to all Year 10 parents and students. who wish to remain at school to study, the Mercy Information and Resource Centre (library) will be open. In the lead up to the exams, Year 10 students are encouraged to access the Study Skills Handbook. A useful set of units to complete is “Improving How You Study” especially “Preparing for Exam Blocks”. For all examination enquiries please contact Mrs. Tamara Boyer, Deputy Principal. On Thursday 31 May, Andre Desveaux, Melissa Hemetsberger and Sophie Holly attended the Joondalup Youth Forum. 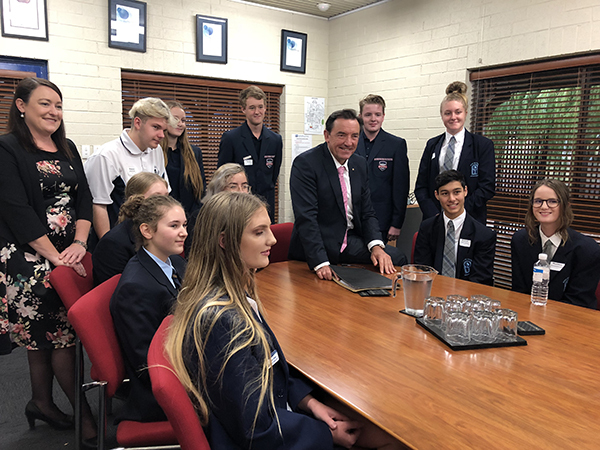 Minister for Youth, Hon Peter Tinley, and Member for Joondalup, Emily Hamilton, hosted the consultation forum providing secondary students from Joondalup the opportunity to share their views on the draft WA-wide Youth Strategy. Students contributed to a round table discussion with Ms Hamilton, the Minister and the Minister’s Senior Policy Advisor. Discussions centred around digital services for young people such as apps and websites; how government can best engage young people; what services youth hubs should provide; and ways in which the Government can recognise the achievements of young people other than through awards. On the way back from the forum the students expressed how much they appreciated the opportunity to share their views, and how they felt as valued members of the local community. Andre, Sophie and Melissa all agreed that what Ms Hamilton and Mr Tinley now do with the information gathered from today will be important in shaping the future for young people in Western Australia. 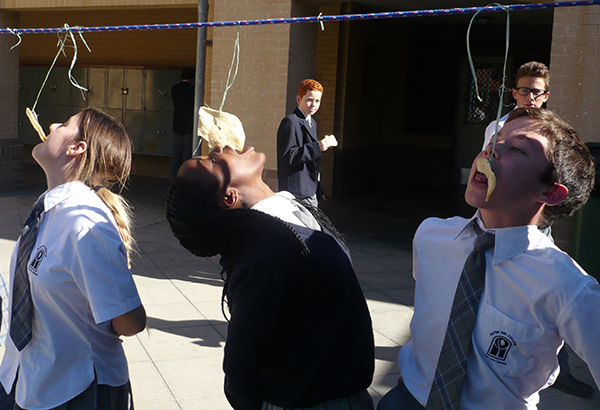 Last week to coincide with the Language Perfect World Championships, was Languages Week at Mater Dei. 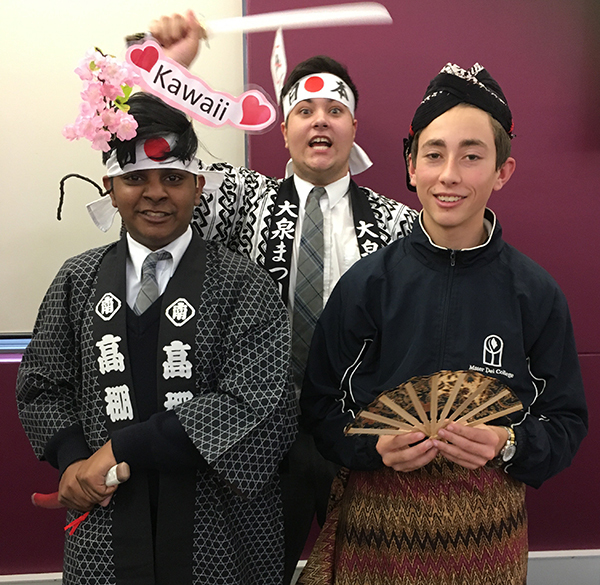 A variety of events were held including Kendama (Japanese Toy), Chopstick Relay, Congklak (Indonesian game), origami and photo booth opportunities. Students also got to try some Japanese and Indonesian treats such as, kakigori shaved ices, and the Krupuk eating challenge. With the bad weather of the last day, students enjoyed watching a Japanese anime in the warmth of the Benedict Building. Over the course of the week, our Year 10 Marine Studies students have been conducting an assessed investigation on buoyancy, density and upthrust and how these factors change in fresh water compared to salt water. Students were required to work in groups to build their own hydrometer and then use it to test the density of a variety of different liquids to determine their relative density. Students then had to record the weight of various masses when they were suspended in fresh and then salty water. Using their data, students had to calculate the upthrust of distilled and salty water. Students also had to research how the Principle of Floatation affects cargo ships and how they used their Plimsoll Line to safely transport cargo from port to port. Well done, Year 10 Marine Studies students on all your hard work this week! At the beginning of the forum, we were introduced to other student leaders from Catholic Colleges including Aranmore, Sacred Heart and Chisholm as we were given the opportunity to discuss our perspectives on questions, such as, “If you could change one thing about Catholic education in WA, what would it be?”. 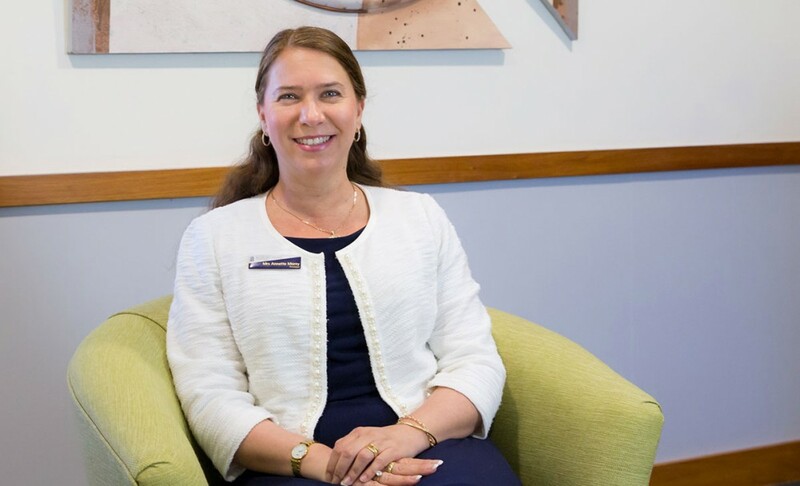 This question in particular prompted a range of different discussion points from the group, however, many students agreed on the need to make the Religious Education syllabus more engaging and relevant to everyday life. This and other key ideas were written down by the forum leader to take back to Catholic Education WA. The knowledge that we had played a role in planning the strategic direction of the Catholic education system made the student focus group a valuable and rewarding experience. I highly recommend that other students consider participating in forums such as these if the opportunity arises in the future. The Wheelchair Challenge is an event that challenges people to spend just one day of their life in a wheelchair while raising funds for Rebound WA. There are a wide variety of circumstances that result in the necessity to live life in a wheelchair. Many of those could be experienced by you, or someone in your life. The Wheelchair Challenge provides students and staff with an opportunity to have first-hand experience of what life is like in a wheelchair while raising much-needed funds to help us continue to make a difference in the community. It is called a challenge for a reason. Participants will be challenged by issues of accessibility in workplaces, school, shops and in many public spaces and facilities. They will learn a different way of dealing with everyday situations such as opening doors, crossing roads, navigating around furniture and even preparing meals. They may also gain a new perspective on how people in wheelchairs are viewed and treated. 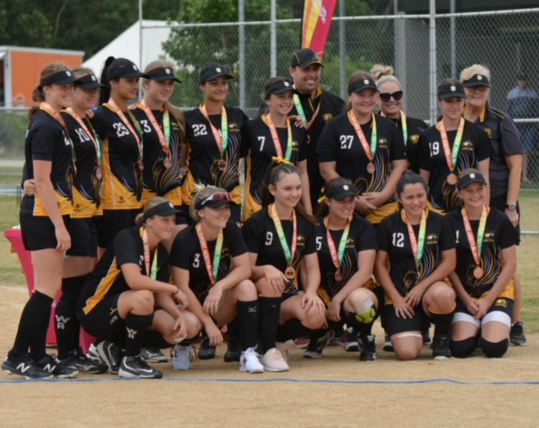 Earlier this month, Tahlia Rudrum (Yr 11) competed for the u/17s Western Australia State School Girls Softball team. 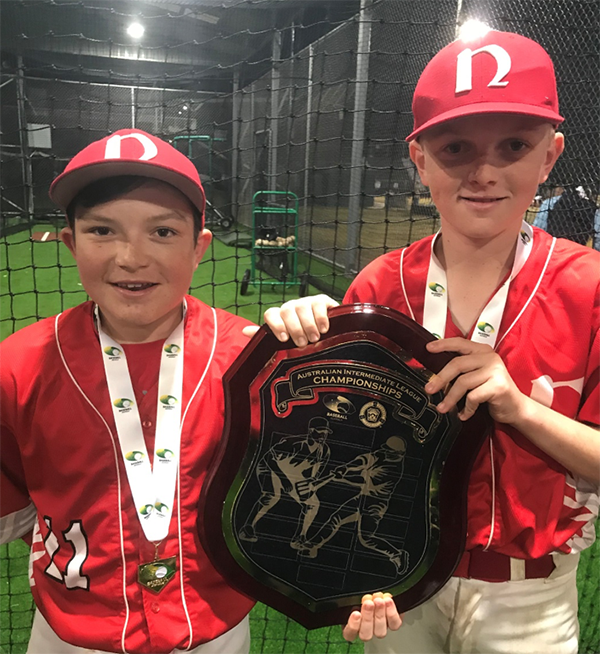 Western Australia came in third, taking home a bronze medal. It was WA’s first bronze medal in 11 years. Congratulations, Tahlia. The slumgullion was hot, savory, and hearty, and on this rainy night we were all eager for seconds. "She rode up a small dirt hill to a grassy clearing bordered by cabins, where she got a glimpse of the rock, big enough to seat at least a dozen campers, where she and her scouts had cooked slumgullion, a stew of meat and vegetables, over a camp fire." 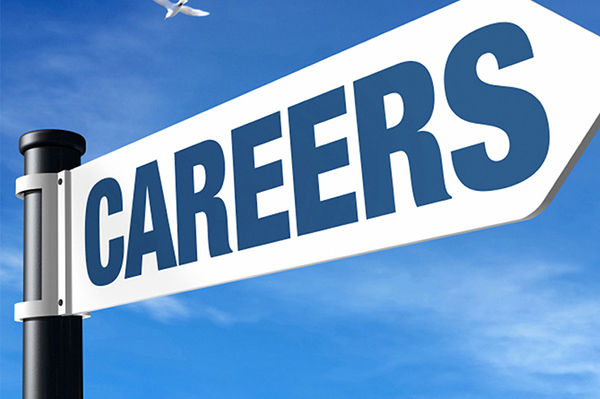 The Good Careers Guide 2019 still contains over 400 comprehensive job descriptions, and advice and guidance for job seekers, regardless of whether you're fresh out of school, university, or want to have a change of career. he Good Careers Guide 2019 is available to buy in print from our online bookshop and selected newsagents. You can also take a look for free with our eBook version.